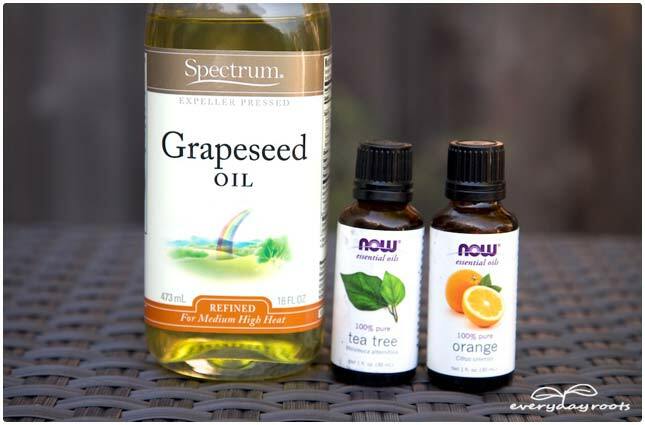 As soon as you notice the tell-tale signs of nail fungus, mix together 1 of tea tree oil, ½ teaspoon of orange oil, and ½ teaspoon of grapeseed or olive oil. Soak a cotton ball in the mixture and apply to affected nail pressing it on gently but firmly so the liquid comes out. Let this dry naturally. Alternatively, you can place 4-5 drops of tea tree oil in enough water to soak your feet in, and do that for 15-20 minutes. Both treatments should be done faithfully morning and evening. 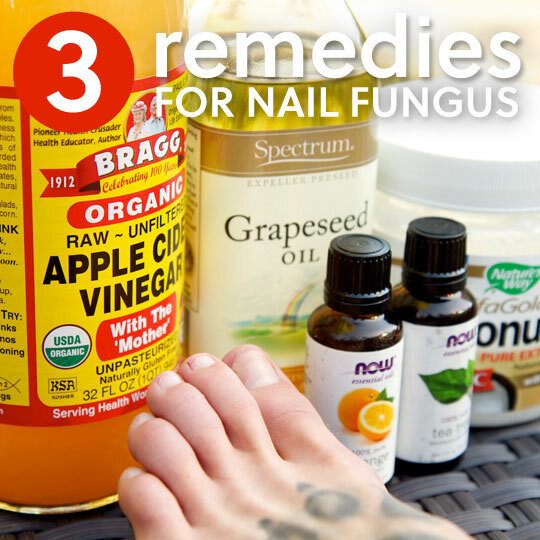 I read your article about natural remedies for nail fungus. I got fungus under my big toenail after I fell off my bike and the nail got a small hole in it. I don’t take any medications and I tried EVERY natural remedy known, including the ones you list. (probably 100′s…) After a year, it had gotten so much worse that the nail was only attached by the skin around it and I was certain I would lose the nail. And then I stumbled on a phrase in an article about something else: fungus can’t grow on salt. Here is what finally worked for me: Scrub with baking soda and warm water to get the crusty stuff out from under the nail, dry it and pack it with himilayan pink salt and dab some coconut oil on the nail/skin to keep it soft and to work more of the salt as deep into the gap as possible. It stings a little at first, but it works. Within a week, the nail was growing back at the root pink and healthy! I was so desperate and discouraged and this really worked. And of course I don’t tell anyone because who wants to talk about their nail fungus! I have never seen it written anywhere before or since – pretty sure I invented this cure. Haha. Definitely gonna try your advice on nail fungus.i am struggling for years now with no improvement.thanx for your tip. ı have fungus in my nails for more than a year .First year ı used medicine pills whıch my doctor gave me. ı read and tried many many natural remedies but they were all topic remedies.as we know the fungus lives in the nail root but topic remedies cannot reach there .ı still struggle desperately. What do you mean by “pack it with himilayan pink salt”. Like crush the salt and put it on your nail? I think she means put as much salt under the actual nail (as these infections tend to lift the nail) also place on top of nail especially where the cuticle is. Try that. Salt water also kills the bacteria that causes eczema to become infected. Salt is a good all rounder for many things! But you must use a pure salt. Celtic salt or himilayan salt which looks pink in colour. You will find it at most health shops. P.S Yes crush the salt. Can buy it like this. Packing it means after getting all the crust out if not most of it out from under the nail then putting the salt inside the opening or gap so the salt make direct contact with the infected skin under the nail and leaving it in to kill the fungus repacking as needed. Bye to showers or washing feet Ect. I’m curious to know if the type of salt is important to how quickly it kills the fungus? I have been mixing epsom salts into my soaks along with tea tree oil and vinegar. 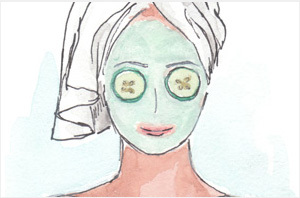 Do you think this method would work with the Epsom salts instead? Thank you for sharing your home cure. I too got an injury on my big toe at the nail and now for the last year and a half I have been suffering from terrible toe nail fungus. I have tried everything under the sun topical and internal to rid my toe of this problem. I’m embarrassed to wear sandals in the summer and so I have been having to wear socks and tennis shoes all year around even though I’m sure air would be much better for my problem. I’m sooo glad I came across your message it gives me hope that maybe I can rid myself of this painful problem once and for all. Thank you. I have been suffering for years. I have poor circulation in my legs and also have CFIDS & Epstien Barr. I’m am finding more and more natural treatments that are helpful. I have these in my cabinet. Will add this. I do know, I must stay on it. Should I then wrap the toenail in gauze or something to keep the salt packed or just leave it open to the elements? I cured a toenail in two weeks using a 50/50 mixture of borax and baking soda. Borax is a kind of salt… I mixed it together with a touch of water to make a paste (I mixed up a small container full all at once so I didn’t need to mix it every time I used it). I cut the infected nail back as far as I comfortably coud and cleaned in well with soap and water. Then I scrubbed the borax/baking soda mixture into the nail getting as much as I could under the nail. I wash it off then repeat but this time I leave it coating the toenail. 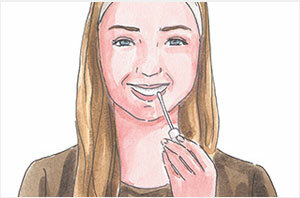 I did this twice a day for two weeks and my infection is completely gone. I’ve tried every over the counter remedy, prescription strenth polish, teatree oil, etc. This really works well. Wouldn’t it help to mix the Tea Tree and Orange with the Coconut Oil and rub it on??? 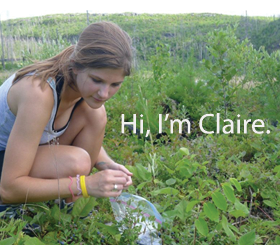 Claire, do you have any input on the salt remedy for nail fungus? I have nail fungus under on of my thumbnails and it has been totally resistant to any and all treatments I’ve tried. I think at some point the nail must have become slightly detached from the thumb and allowed water/moisture to get underneath the nail. We know how fungus loves moist areas. The rest is history! Thanks for any information you can provide. great also Allow air to reach the infected toe as much as possible. Moist socks and shoes breed fungal growth. Go barefooted as much as you can. Wear sandals whenever possible. Do not wear your sock or hosiery more than one day without washing. White socks that can be bleached are a plus. I had fungus on my thumb nails and 1-2 other nails. I also had it on my large toenails. On the fingers, I kept a small bottle with a dropper screw top filled with apple cider vinegar. Every time I thought of it, I put a drop of vinegar (more on the fingers than the toes–convenience, lol) I kept the bottle by the computer, I would apply it several times a session, letting it go under the nail, and just air dry. I did also put it on my toenails, but somewhere during this time I started taking coconut oil in my coffee everyday. One day I noticed the fungus was gone. I have also put the coconut oil directly on the nail and rubbed it in, esp. during sandal time. I put Vicks vapor rub on my fungus nail 2-3 times a day for about a month and now it is back to normal. I spent $1200 on laser treatments and the Vicks actually worked better. Hello Liz, Can you tell me what you did exactly with the vicks? Did you prepare the toe beforehand? Or did you simply apply vicks 2-3 times a day without doing anything else? I have also used Vicks with success but you need patience as the process can take weeks or months. I just discovered another outbreak on my big toe and the Vicks is on. Make sure you nails are clean and dry. I apply with a clean Qtip as to not reinfect. I slather it on the nail and nail bed. That is my go to remedy as well. First I soak my feet in epson salt and baking soda for about 30 min. Dry well and apply the Vicks. 2-3 times a day. I used Vicks vapor rub and my toes changed back to pink and healthy. But the fungus came back fairly quickly. Hi, I was wondering why you need to wear gloves when applying the coconut cream. Coconut seems harmless enough, on your fingertips too, doesn’t it? The coconut is perfectly safe, the gloves are an option that can decrease the risk of spreading the fungus or re-infecting the toe. My cousin was treated by his doctor for a nail fungus. It ended up being melanoma. He had to have part of his thumb removed. So if the remedies don’t work please go to the doctor. 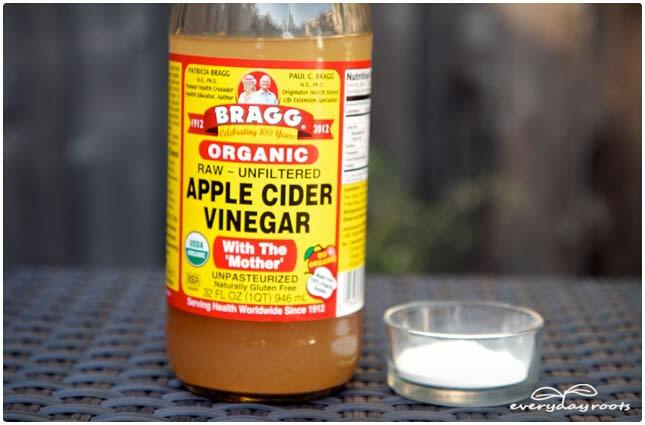 If you do the vinegar treatment, do you change the vinegar for every treatment or can u use the same more than once? Oh, that’s is you use it without the baking soda, which you should. Baking soda neutralizes the acid in the vinegar, so I would use the vinegar straight without adding anything. For the vinegar treatment, do you use cold, warm or hot water? Should all three of these treatments (coconut oil/tea tree orange oil rub/ baking soda vinegar soak) been done together or should you just pick one at a time to try? You might consider a “water-based” nail polish, such as Acquarella. It’s “halaal,” which, to Muslim women, means it allows water to pass through and reach the nail. I’m not sure if all water-based polishes are considered halaal, but I know Acquarella is. I don’t know if this would mean that any “treatments” would still get through to the nail, but I do know this polish allows your nails to breathe at least. Also, the Gimme-Five blogger says he treated his nail fungus by putting vinegar (or Nonyx gel) at the base of his nail twice or three times daily. If you leave a little space around the base of your nail bed where you don’t polish, which looks better anyway, this particular treatment might be affective, as it would reach the nail where it needs to, which still allowing your nails to be polished. Mixing vinegar and baking soda together makes the acidity in vinegar neutral as sodium bicarbonate is a base. Using baking soda and water as a paste after you’ve soaked in vinegar will work like an abrasive and clean any debris/fungus away that was weakened by the vinegar. Mixing the baking soda with the vindgar will do you no good. 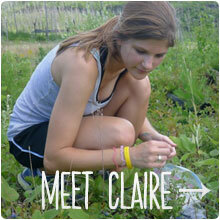 Claire, a great article. Thank you for helping people selfisly. 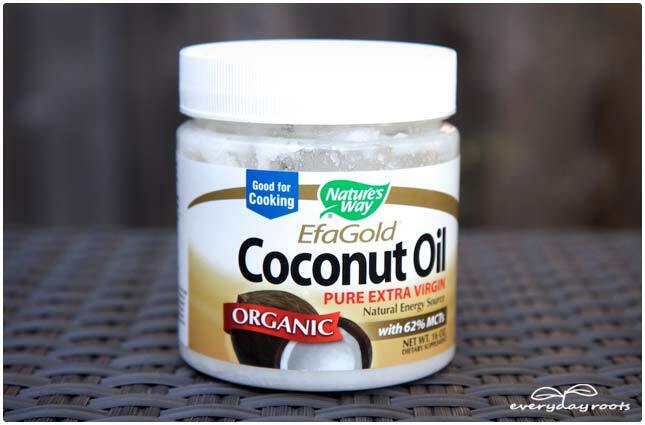 What I liked further more is the scientific explanations such chain of fatty acids of coconut oil. Else, I was wondering how coconut oil could help fighting fungus instead it would provide food to them. I am stilled puzzled about alkaline solution (Baking soda) and acidic (Vinegar/lemon juice). Some writing says fungus don’t grow in acidic environment hence Vinegar controls the growth. But you are saying alkaline environment controls the growth and acidic medium enhances its growth. Am I missing something here. I have toenail fungus and I am treating it with vinegar, lime juice or salt water. Will try Baking soda if I would better understand it. You can get Himalayan Pink sale at Whole Foods… they sell it in bulk so you can get just small amount at a time. For nail fungus. I have been taking Apple Cider Vinegar pills. They are supposed to change the ph of your body. My nails were clearing up until I stopped for a few weeks. I also use Coconut oil rubbed on the nails. With ACV pills be sure to take potassium, as they will deplete it. I have had a problem with itchy, scaly feet and thick fungus ridden toenails on one foot for years. I think a lot of the home treatments didn’t work because I wasn’t doing them every single day. So, here’s what I did: one day I would do a foot soak of half vinegar half water for 10ish minutes, the next day I would do a half peroxide half water soak for 10ish minutes (always erring on the side of more water for each soak). I alternated days for two weeks and then occasionally afterwards, like, maybe 2-3 times a month I’d do one soak with either the vinegar OR peroxide. Occasionally I use coconut oil when my feet are dry, so I’m sure that helps, but it’s not consistent. Anyway, my nails have grown in completely clean, it took time for the nail to grow, obviously, but the new growth was fungus free. I hope this helps someone out there, I was so happy it worked so well. I have a comment on the baking soda and acv remedy. You mentioned that baking soda is alkaline and helps to resist fungus growth an acv is acidic, which the funguses normal environment, but helps maintain the ph. However, I’ve read that fungus thrives in alkaline environments and the ph of acv is weaker acid and safe for skin, but the reason it works is because it will make it an uninviting environment for the fungus to live- and in turn, is killed off. Do you have any information that I am missing in this? It seems baking soda may not be the best. Thanks. I was successful with apple cider vinegar. Had used prescription “polish” from my Dr and over the counter stuff…nothing. I didn’t want to sit with whole foot soaking all the time so I got a bag of small balloons, filled with ACV – sometimes Listerine and ACV mix, stuck it on my big toe and now I was mobile. My bride shook her head but I could get up and do stuff around the house like normal or go outside. Within a week or two, could tell the new nail coming out was clean…did this for a month or so. Wayne, how many times a day did you soak your feet? Wayne, I love your solution to soaking. Tosh, I truly appreciate your reaction! I will be trying the vinegar. Wayne, Did you tape the balloon, or is it just so small that the opening is snug? I have been treated before for yiest overgrowth but the minute I go back to eating flour based food or some sweets, the red inflammed sorta of pimples on my face come back, as well as the athlete’s foot and the constant itching on my head. 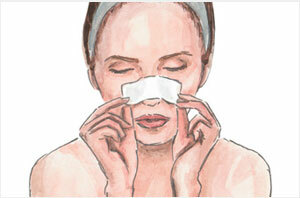 The itching on feet and head get worse at night and the area around the sorta pimples gets red and inflammed. I started treating the yeast with probiotics, oregano oil and garlic capsules. After 2-3 weeks all of the symptoms are gone. I keep taking the garlic tablets and the probiotics and will continue to so, I guess, forever. Of course, eliminating sweets and white flower, which feed the fungus, would work better but I just don’t think I could sustain that type of diet. Sounds like you were doing a candida cleanse. I’ve had great success doing a candida cleanse for chronic bronchitis; in the process of doing it my skin cleared up; migraines and PMS disappeared; and joint aches subsided. Everyone who knew me commented on who good I looked. I’ve been dealing with a toenail fungus for 10+ years and bad itching on the arch of my foot for a year now. Started a candida cleanse taking caprylic acid, probiotics and reducing my sugar and flour intake, and the foot itching started to subside and the rash began to clear up. When I forget to take my supplements, it flares up. Also used oregano oil on my toenail and it started to grow in normally = 3 drops of oregano oil mixed with 1 teaspoon olive oil applied daily for three weeks. I have read a lot about rubbing Vicks Vapour Rub into the nail a few times a day.. That it also kills the bugs.. Never tried it. But if you google it. You will see a lot about it…. My toenails have white on them,and I noticed they’re getting a little brittle they’re not thick or crusty. just wondering if this is a fungus. Which remedy would be better for me. Hello Claire I am thinking about using the remedy of using Vinegar and baking soda for toe nail fungus I am wondering when preparing the soaking process is the vinegar and baking soda added together in the water, that creates a solution? Or is it better using a seperate/clean bowl of water when using the baking soda next? Hi Claire I’m wondering if you can help advise me, I have had a fungal problem now that started a year ago on my right thumb nail. Doctors have been unhelpful with treatments to the point I have been sent to see a dermatologist. My doctors never took sample before prescribing treatments. I have spent a lot of money on raw coconut oil. I have found that it causes the skin around my thumb to harder and cause more pain. My problem is that over the last few weeks 8 of my toes have turned fungal. I found a recipe using Baking soda and a few drops of tea tree and lavender to make an anti fungal drying foot powder, it’s complete aggravated my situation and I too had been using foot soaks as you describe above. Obviously I can’t type everything here that I have tried but I have been persistant, when I showed my doctor my toes yesterday, he looked puzzled that could be so bad when my feet look so healthy otherwise. To get to my point I have been saying to them that the source of this is internal. But they say its not showing in blood test. The only reason I can think of that caused darkening of both my toenails was wearing nail polish without a break all summer. I read here that wouldn’t cause it though. Thanks to all for treatment suggestions. I will try them. Have the toe nail fungus with in grown nails I must dig out. Nothing worked for fungus or infections from in grown toes . I then started wetting the tops of my socks with tea tree oil and most has cleared up in my work boots where it used to get worse. The dead nail is not sore any more too. Just pink and healthy. Infections do not stand a chance that’s a big bonus. my mum has severe toenail fungal infection in her toenails what should she use?are these remedies safe?please reply do u recommend an over the counter medicine or ur at home treatments?pls help im at my wits end worrying about my mum! I did a full year treatment with one of the best laser in the market and it did not help. I will definitely try the pink salt. Thanks for sharing these tips and I totally agree especially with vinegar which really works wonders and highly recommended. Another alternative would be mouth wash with hydrogen peroxide (3%), and grapefruit seed extract which have been found useful in tackling the fungal infections as well. I have dark toenails for several years. Both of the nails on my big toe are extremely dark. I was too ashamed to leave them unpolished. Last Wednesday, I soaked both feet in a mixture of ACV and Listerine (the original one) for about ten minutes. I used the blow dryer then applied tea tree oil, fungus fighter and Vicks Rub three times daily. I am seeing results!!!! My hard toe nails are softening and I am filing away the dead hard nails slowly. Today I bought more Listerine and ACV. I also sterilize all nail files and clippers in Rubbing Alcohol. I do not use nail polish ( thank God it’s winter) !!!! Hopefully by Summer I will be able to wear my sandals. My girlfriend is 20 and her pinky toe nail is starting to look almost a bit deformed..? like the base of the nail has sunken in and i dont know what to do about it and we don’t really have the money to go and get any expensive ingredients or to the doctors.. :c I’m not sure what to do.. can anyone help? the nail is thick and kinda greenish ? it’s weird..
Lol…omg i couldn’t help but laugh at the way you described it…. so how is it now? About the Himalayan Pink Salt, I have been buying it at Trader Joe’s but lately they have not been carrying it. I will ask them next time I go. It was only 1.99.. I just remembered, I went to my doctor yesterday about my toe fungus and she said removing the toe nail surgery was very painful. Buy yourself a big bag of epsom salts at the drugstore some tea tree oil. Fill a foot basin with enough water to cover your feet up to your ankles. Add about half a cup of the epsomm salts and a cap full of tea tree oil to the water. Soak your feet for 15 to 30 minutes. Then use a pumice stone after soaking to scrub the soles of your feet. Do this everyday and the foot soak will soften your feet and the pumice stone will remove all the dead skin. I had bad cracked dry rough feet and now they are supple and smooth. This works and heals athletes foot and helps to speed uo nail fungus cure while also using topical treatments on nails like tea tree oil, coconut oil, over the counter nail fungus ointments, grape seed oil, oregano oil, vicks, and vinegar to name a few. Pick whatever you would like to use in conjunction with the footbath and your feet and nail fungus will heal. The trick is doing it religiously everyday. It is a battle and you have to fight the fungus and see it as the enemy. It is dramatic but so is nail fungus. I work with pools all spring/summer/fall every year (installing/removing/cleaning/maintaining), and am a plumber all year around, My feet are almost ALWAYS wet or in water daily, while I’ve been fortunate to have never had any fungal issue (yet), they got like how you described your feet, dry and cracked from constantly being wet and dry, What worked great for ME was to scrub my feet thoroughly with a good stiff foot scrubber brush and “Sloughing” creme (my wife got the brush and creme through her Avon makeup lady for less than $10) twice per day and than wash them off in very hot soapy water, than towel dried and powdered my feet with Johnson’s baby powder and heavily powdered my socks and shoes. That worked great for my very dry, cracked feet. they quickly became nice and smooth and soft again! No oils, meds or lotions helped. Now I just make sure that I wash, dry and powder my feet as soon as possible once they get wet or sweaty to keep them nice, and I also keep my shoes clean and dry. Good Luck! Get a pedicure, they will clean up the dead skin. Your feet will be smooth and won’t be cracking up any more. I have a terrible fungus under my right big toe. Now I have a patch of rough skin that itches all the time just above the bend of the foot on my shin bone. It seems to be working down the top of my foot. My dermatologist told me this was as a result of the fungus and could go all the way to my knee. I am very skeptical about this. I have never tried any of your remedies but plan to in the near future. Thank you for your ideas. Try the straight coconut oil, be patient though. Been treating my 2 big toes with it for over 6 months and can begin to feel the new nails growing. Apply liberally twice a day, morning and before bed!! Thank for the information I’m sure going to try the one for toenail fungus,I recently developed the fungus after gallbladder suegery. also after many hours of research about stomach problems and what other issues are associated with stomach peoblems .and having the fungus is a sign of stomach problems,along with others stuff too. thank you for tip. I have had nail fungus for about 10 years. I half-heartedly tried to cure it a couple of times and of course it didn’t work. Now I am determined to get rid of it this time. For 2 months now I have been using tea tree oil mixed with coconut oil, and Kerasal Nail at night. It is working. I am taking pictures of my toes once a week and you can see them at nailfungusdiary.com. Good luck! I have had my infection for almost a year, I have tried vinegar, baking soda mouthwash, Lysol cleaner, yeast infection cream, yogurt, and probably many more. I have tried it all the only thing I haven’t tried was cutting my fingers off. I have it on every finger and every toe. Last week I tried PENETAN CREAM MEDICATED, IT WORKS GREAT IT HAS GOTTEN RID OF TWO VERY BAD SPOTS THAT HAVE ACCUMULATED FOR I YEAR, IT IS GREAT PLEASE GIVE IT A TRY I REALLY, REALLY HOPE IT HELPS SOMEONE, U HAVE TO MAKE SURE IT IS THE MEDIATED KIND. My grandma has toenail fungus and her dr says only a prescription will work. It’s a prescription she has to take for 3 months and he says it is hard on the liver and only 85% success rate. Will the tea tree oil or coconut oil kill it if it’s pretty bad? Kelly, I am worried about the prescription, and I know which one you are talking about. 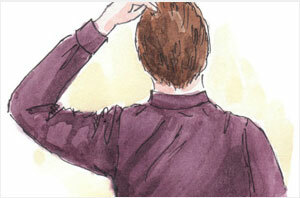 There are serious concerns about liver damage. I would never take it, ever. Also, the 85% success rate is highly exaggerated. 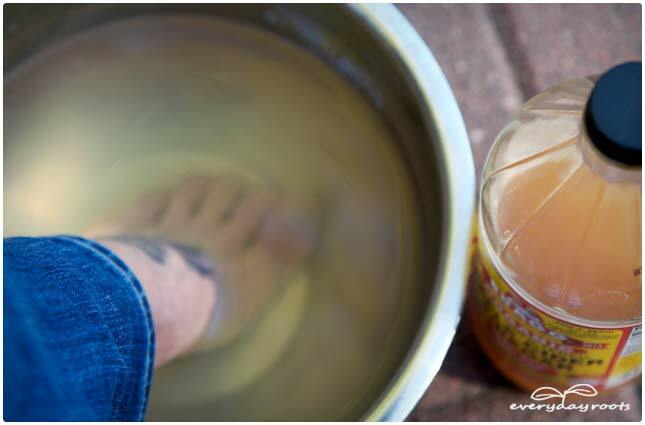 Tea tree oil and coconut oil mixed together will absolutely cure it but there is one huge catch: you have to apply it every single day without fail, and you have to try to keep your feet dry and uncovered as much as possible. It is very simple but takes your best effort to stick to it. Look up ‘nail fungus diary’ and you’ll see how bad my nails were and how much better they’ve gotten. Toenail fungus can be cured safely and naturally. I also used something called Kerasal Nail which isn’t all natural but I think you’d be just fine without it. I took these meds. Don’t use them. They are extremily hard on your body. My Dr said he wants me using natural treatments. I got some dirt under my cuticle which got infected. I got the skin healed but the infection has been spreading up my nail from the base. It covers about half my toenail now. Will these remedies stop it from spreading through the whole nail and cure it? When I see fungus growing on my toenails I immediately cut it back. I cut all the white area off. The nail where the fungus is growing will always be separated from the nail bed so it’s easy to do. Might look like crap until the nail grows back, but it’s better than fungus. I used a cuticle scissor and clipper to remove more of the dead nail layer until eventually only healthy nail appeared. Rinse each time with hydrocine-pryoxide to clean the dead fungus. No pain was involved. If it hurts, stop, and wait till the next day. I’ve read about good results from various methods. 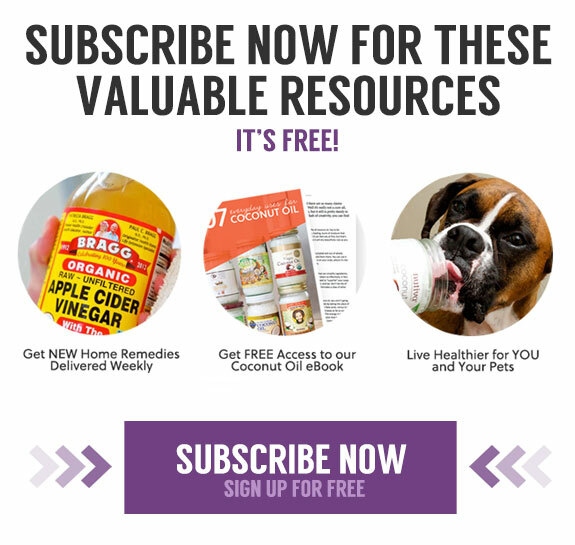 I’m just beginning a regime, but am wondering would it help or hinder to try two methods at the same time, such as the vinegar/water soak and Vicks? It seems if there are multiple types of fungus and some remedies work on one type but not another, I wondered if this might speed up the results. I just realized I had toe fungus on multiple toes after thinking they were just damaged due to hiking. It’s been over three years and I am ready to have my normal toes back! Hi, I have been treating my toenail fungus with distilled vinegar. It helped for a while but seems like it’s back. To avoid the hassle of gloves and soaks, I put some in a small spray bottle from the dollar store and sprayed my toenail twice a day. Then put the socks on. Now I think I will crush some salt and mix with coconut oil. And will use q-tip for applying to make things easier. Anyone tried mixing before? If you’ve had toenail fungus for any length of time (weeks, months, years), is it recommended that you get rid of any closed-toe shoes that you’ve worn during this time? I’m hoping one or more of the remedies posted will work but am also concerned about whether my (extensive) collection of shoes may cause it to reappear. Since clippers and other tools should be disinfected/sterilized, it seems like the shoes could also be a problem. It would be quite expensive to replace my shoes. 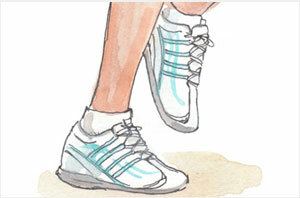 Sprinkle dry cornmeal in your closed toe shoes. I had good results with cornmeal. I also fill a tub with dry cornmeal and cover my toes in it. It feels like putting your toes in a sandy beach. I do this for about 30 min. twice a week. It suffocates and dries out the fungus. I’ve had toe nail fungus for 25+ years. I’ve never taken medicine or tried a natural remedy to cure it, I’ve just always lived with it. I went on a green juice cleanse for 28 days. Nothing but green juice, water, and coffee for four weeks (inspired by “Fat, Sick, and Nearly Dead” on Netflix). I was looking to lose a few pounds and give my body a detox. 6 months later, my nails are almost completely clear. I figure another 2-3 months of growth and I will be able to cut away the remainder of my discolored nails. This happened purely by accident. Apparently, the fungus in your nails thrives from yeast and sugar in your everyday diet. Cut out those items, kill the fungus. No pills. No soaking. I ended up dropping 30 lbs in 28 days and as a bonus my nails are going to be ready for flip flops for the first summer in 25 years! 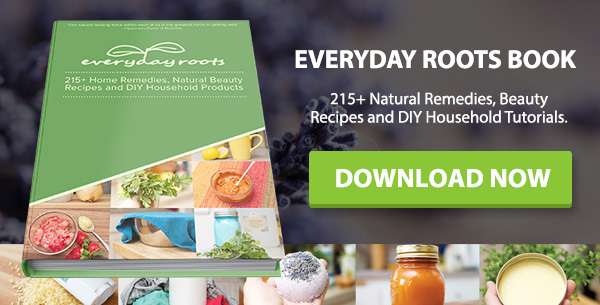 Do some research about changing your diet to beat toenail fungus… It worked for me! Fighting toenail fungus for 19 years…not sure where I heard about coconut oil. After just 2 applications have huge recovery…really works…used oil from capsuals. Applied all over and under nails…first application turned both nails yellow by end of day. Second application can already see major recovery…wish I had know..tried all over counter measures…nothing worked. Did alot of swim coaching over the years with 2 very bad nails. I just wanted to add that I had good results with cornmeal. I fill a tub with dry cornmeal and cover my toes in it. It feels like putting your toes in a sandy beach. I let them set in the dry mixture for about 30 min. to an hour. I try to do this about twice a week. Suffocates and dries out the fungus. I also sprinkle dry cornmeal in my shoes. I will follow up with the coconut oil, I think that will be wonderful.